The ultra-competitive streak within Travis Scott has seen the Calabasas transplant outdoing himself on a daily basis. 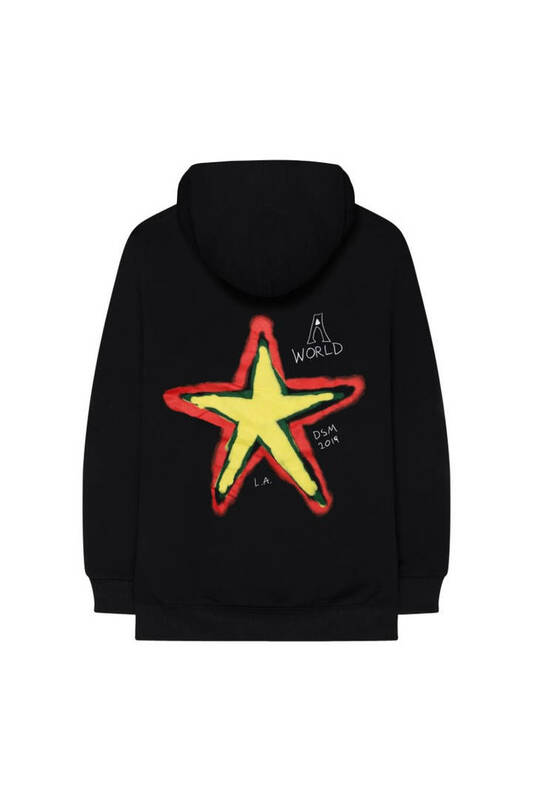 To mark his 3rd sellout in-a-row at the Los Angeles Forum, the man colloquially-known as Astroboy is releasing a limited time only capsule collection, with products ranging in price from $65 to $165. But Travis' new merch grab isn't exclusive to fans attending the remaining Astro tour dates. Travis' collection of hoodies, t-shirts, and a single Cactus Jack-themed beanie will be sold at Dover Street Market and will double as a fully-interactive installation, for those lucky enough to make the trek. Those in the know are likely to have already participated in the one-time event, which opened its doors on February 8th. 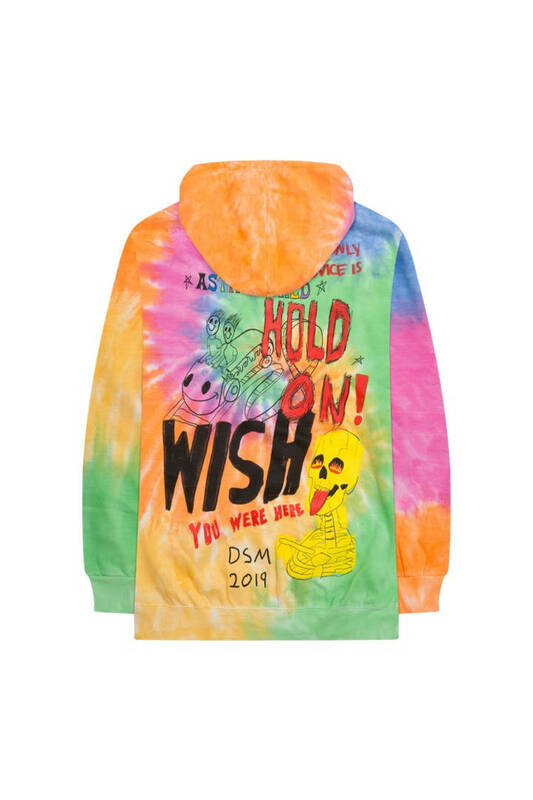 The first batch of apparel features a distinctive tye-dye design - the other items are loaded with "hand-drawn" graphics that go hand-in-hand with Travis Scott's rip torn aesthetic. 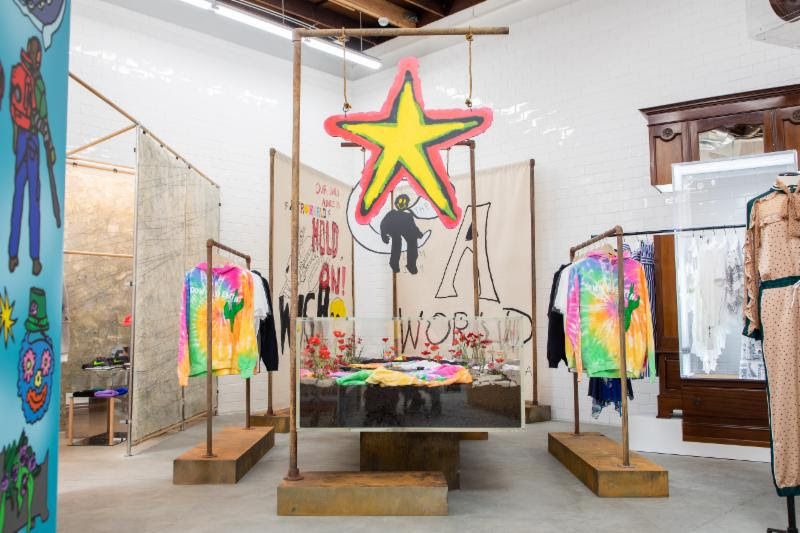 For those interested in swinging by or making a purchase, LA's Dover Street Market chapter is situated on 608 Imperial Street, just East of the Downtown core. Be sure to note: "Dover Street Market x Travis Scott" closes shop this Friday, February 15. If you miss the drop, you might have to wait a full two weeks for the next one.